A handmade drum lampshade made using a striking black and white thick stripe print in 100% cotton. Perfect for a minimal, monochrome interior. These monochrome beauties are here to show you a trend that simply never goes out of style. Chic, sophisticated and stylish, black and white has been the go to colour combo since…well, since forever. 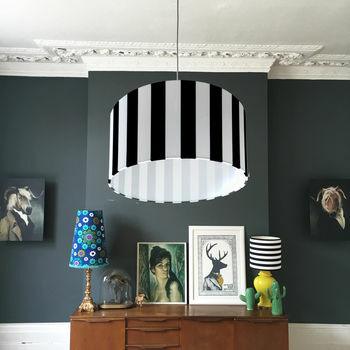 As always, here at Love Frankie we are here to inject a sense fun into your decor; may it be stripes, chevrons or geometric prints, we want you to add a playful touch to your eclectic interiors. 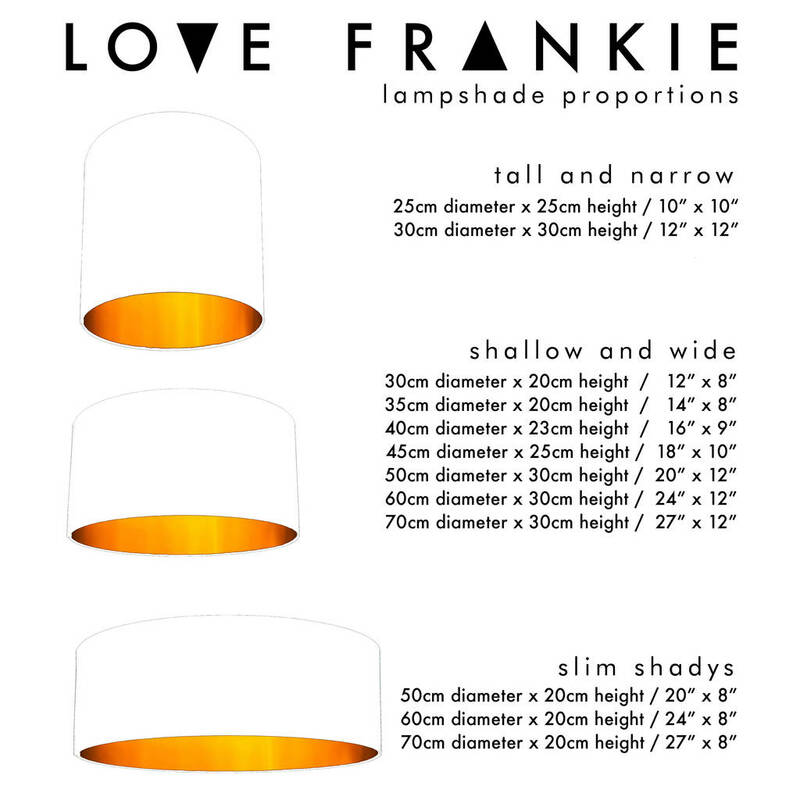 Lampshade Sizing & Fittings:Please refer to our proportions image to find the right shape and then choose your size from the drop down menu below.All shades are suitable for ceiling pendants, table or floor lamps, please use the drop down menu if prompted. Please refer to the proportions image above showing the 12 different sizes we offer. This product is dispatched to you by Love Frankie.